Winmate updates the Marine grade EAC Box PC product line with the release of the new I330EAC-IKW - featuring a powerful 7th generation Intel Kaby Lake Core i5-7200U processor in a compact, fan less design. Specifically designed for maritime applications on bridge systems, the I330EAC-IKW is IEC 60945 certified to ensure that our product meets marine grade reliability. This includes an anti-vibration and anti-shock design for reliability and safety to ensure that the Box PC remains running at all times. The Marine Box PC comes with an extensive and flexible range of I/O connectivity options with the option for 8 NMEA 0183 ports to ensure marine device connectivity for ship sensors. 3 separate video input, VGA, DVI and HDMI are included so that the EAC-IKW can support up to three monitors for the marine bridge system. Whether on a large cruise ship, 20,000 TEU container ship, or on a recreational boat, the I330EAC-IKW will provide powerful computing and rich connectivity that ensures the integrated bridge system will run effortlessly. 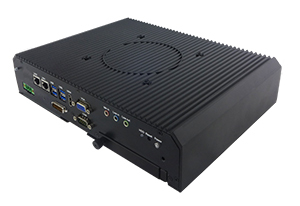 The performance update to our Marine Grade Box PC strengthens our full line of marine solutions, which includes marine certified PCs and Displays. Our ECDIS compliant Marine Panel PCs and Displays feature industrial-grade design and undergo rigorous testing, going beyond marine standard compliance to ensure safety and performance. 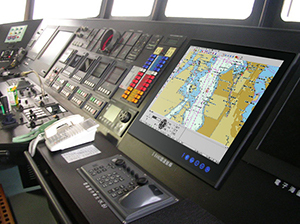 This series of advanced multi-touch maritime Panel PCs and Displays brings a new level of technology and design to the bridge or in a control room to handle all your nautical needs with ease.